The meniscus is a rubbery, C-shaped piece of cartilage in the knee joint which acts as a “shock absorber” between the femur (thigh bone) and tibia (shin bone). The connection of the femur to the tibia is similar to a ball sitting on a table–the rounded end of the femur and the flat surface of the tibia leaving a relatively small point of contact. 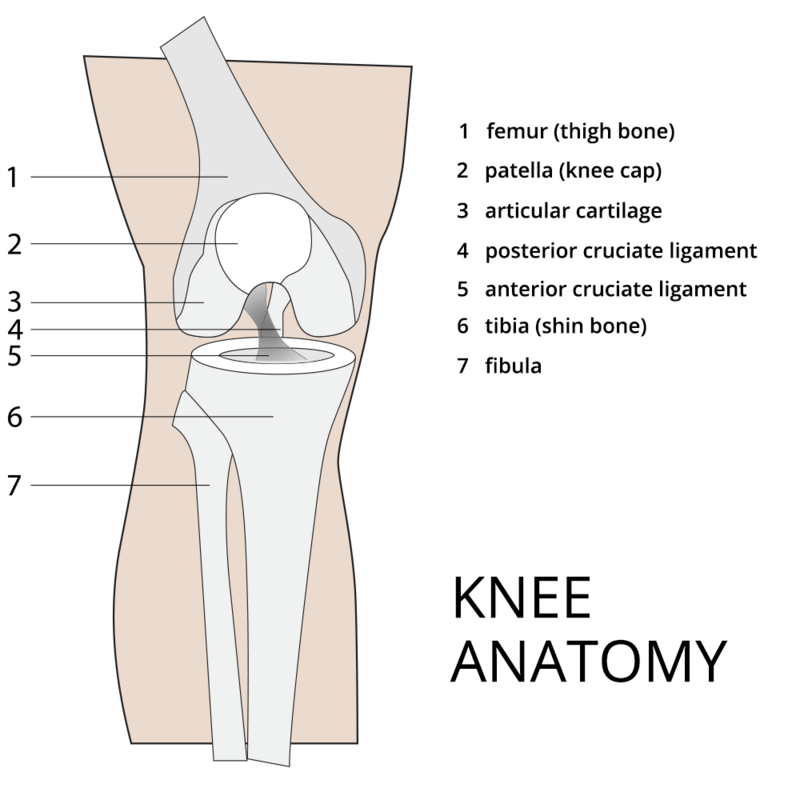 The knee has two menisci, one on each side surrounding the joint and increasing the area of contact. This allows pressure to be spread across a larger surface area. The meniscus plays an important role in preserving the knee joint. Without its protection, the concentrated pressure on the articular cartilage covering the ends of the thigh and shin bones can cause it to break down leading to arthritis of the joint. There are two types of meniscal tear: Acute traumatic meniscus tears and degenerative tears. These tears can occur is any of five patterns: vertical, horizontal, oblique, radial, or root (attachment to shinbone or tibia). In the past, only vertical tears were thought to be reparable; however, at Towson Orthopaedic Associates, advanced skills and techniques allow us to successfully repair tears many others would remove. An acute traumatic meniscus tear is often caused by an abrupt or forceful twist of the knee joint and can occur in conjunction with other knee injuries, such as ACL tears. Acute tears are common among athletes and usually occur when the knee is bent or flexed because of greater stress applied across the meniscus. While common during sports activities for younger patients, acute meniscal tears can occur in middle-aged and older patients when getting out of a chair awkwardly, squatting to pick something up, or slipping on the ice. Degenerative meniscus tears are usually caused by cartilage weakened by age or arthritis. In these cases, wear and tear on the meniscal tissue causes microscopic weakening of fiber structure leading to small tears in the cartilage. Like a crack in the structure of a home, these tears start small and grow over time. Degenerative tears are often associated with arthritis, likely due to roughening of the articular cartilage surface which can then wear away at the meniscal tissue. When a tear is caused by arthritis, the success of treatment is often dependent on the degree of arthritis present. In the case of significant arthritis, symptoms are primarily caused by the arthritis and, therefore, treatment of the arthritis itself should be prioritized. When the meniscus is torn, the body is unable to heal it properly due to limited blood supply and constantly circulating fluid in the knee joint. Like a beaver trying to build a dam as it’s washed away by the current, repair tissue is washed away by fluid before the meniscus can rebuild. To treat a torn meniscus, arthroscopic surgery is performed using a tiny camera and miniature surgical instruments inserted into the joint through small incisions. This minimally invasive, out-patient procedure provides less pain, less stiffness, and shorter recovery times than more invasive surgeries. When a tear is irreparable, the damaged section can be removed using a procedure called a partial meniscectomy. This is a very common procedure which provides a quick recovery; patients are often able to bear weight on the knee immediately following surgery, walk normally within a week, and return to normal activities in approximately 6 weeks. Unfortunately, the removal of part of the meniscus can lead to increased stress on the articular cartilage and the possible development of arthritis in the future. The size of the tear is important to consider–if the segment is small (15-20%), there is less possibility of negative long-term effects; however, if the damaged section is 65% of the meniscus or larger, removal will leave very little protection and a much higher risk of arthritis. This is especially important for younger patients to think about since, on average, arthritis typically develops within 15-20 years. While older patients (50+) may have the option of knee replacement following the development of arthritis, for younger patients, it’s usually best to repair the meniscus rather than remove it to preserve the health of the knee. Another form of treatment is to stich the torn ends together to seal out joint fluid and allow the tissue to heal. Special instruments used in this arthroscopic technique allow our specialists to provide a solid repair for many types of meniscal tears and prevent future arthritis development. Rehabilitation following this procedure is quite different from a partial meniscectomy. To avoid re-tearing, the meniscus must be protected from elevated stresses until healed. Our specialists recommend the use of a brace and crutches for 4-6 weeks, no deep squatting for about 3 months, and 4-6 months before participation in sports. Depending on different patient factors, we believe this longer recovery time is usually a short-term investment well worth the possible long-term reward in avoiding arthritis in the future. Meniscal root tears are the most severe of the 5 tear patterns. When a root tear occurs, the meniscus is torn from the attachment to the femur or tibia leaving it completely without function. Removal or non-surgical treatment of a root tear carries significant risk of rapidly progressive arthritis with the possible development of arthritis within 2-5 years compared to the 15-20 years associated with a partial meniscectomy. This makes repair of the meniscus ideal, when possible, to preserve the long-term health of the joint. In younger patients with preserved cartilage who don’t have a reparable meniscus, another option is meniscal transplant using a donor implant. This can be effective in providing cushion to the joint and relieving pain, however, meniscal transplants don’t last forever. For this reason, preservation of the patient’s meniscus is preferential to transplantation whenever possible. A meniscus transplant must be size matched to ensure the correct fit for the knee joint; however, cartilage is immunoprivileged—meaning it has no immune markers and does not require a tissue-type match or the use of anti-rejection medication. Following this procedure, we recommend the use of crutches for approximately 6 weeks, physical therapy for 3-4 months, and 8-9 months before returning to exercise and activity. At the Joint Preservation Center, we recognize the importance of the meniscus and focus on both short-term and long-term goals of the patient when determining the best treatment plan. Too often, when choosing a treatment plan, the focus is on the “here and now” and the short-term recovery rather than potential long-term problems. We believe the long-term health of your knee should be the forefront of the decision-making process as opposed to focusing on what the next few weeks will bring. It’s important to consider all aspects of each option to determine what’s best for you. Our highly trained orthopaedic surgeons work closely with each patient to determine the best possible treatment plan. Contact us today to discover which treatment options are right for you.